Tecfire at Dubai Opera Downtown. Tecfire has successfully completed the internal fire rated glazing works at Dubai Opera House. 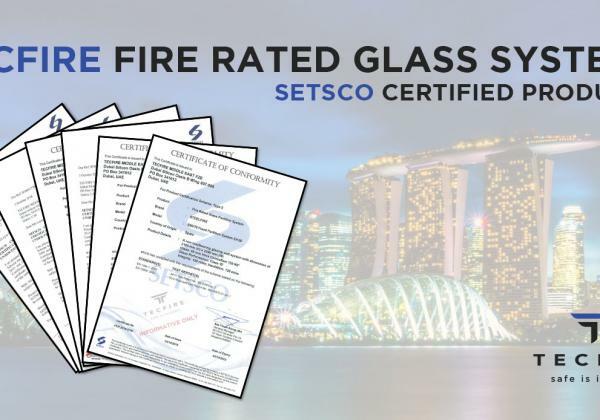 Tecfire has designed and installed highly innovative Fire Rated Glazed Protection Systems using its Alufire AS85 Aluminium systems, providing one hour of fire resistance (EI) in combination with an acoustic rate of 73Db. Tecfire is proud of having participated in one of the biggest cultural project of reference in the United Arab Emirates. Opera House Project has a been a new challenge for Tecfire as the fire rated glazing systems required by the architect Janus Rostock were something very innovative and unique, and the deadline to finish the works was very short, too. Despite this, Tecfire’s Alufire AS85 Aluminium EI60 door systems and Fixed Partitions systems (with a special ceramic frit pattern & with 73Db sound reduction) have fulfilled its mission to design, fabricate and install them perfectly on time, succeeding our client’s (CPD London) expectation. This representative cultural project in United Arab Emirates shows the most innovative architectural designs of the market, in which, Tecfire stands out specially for his new generation of Fire Rated Glazed Protection Systems designed in aluminium profiles: Alufire AS85.